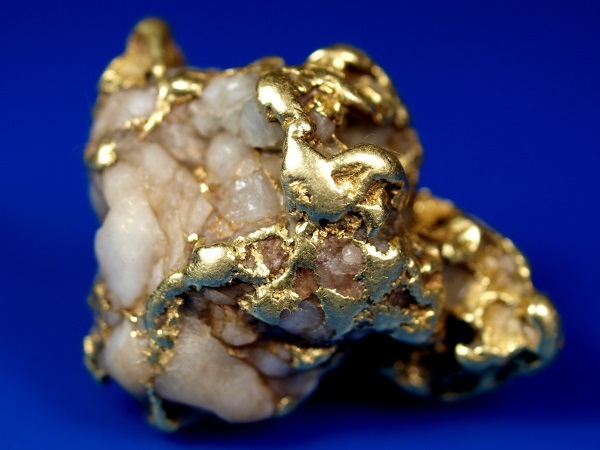 If you've been looking for a beautiful gold/quartz specimen to add to your collection, you would be hard pressed to find a piece nicer than this one! 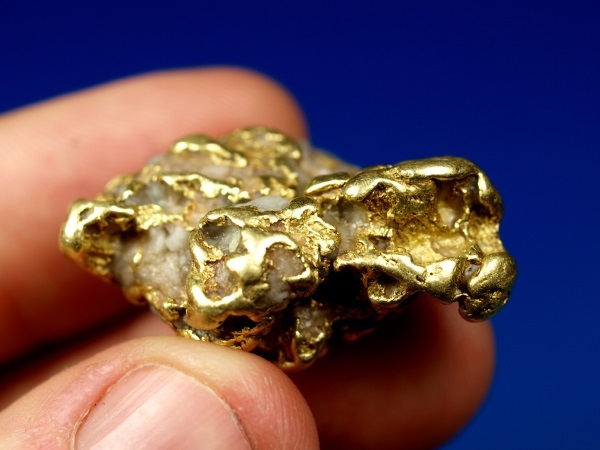 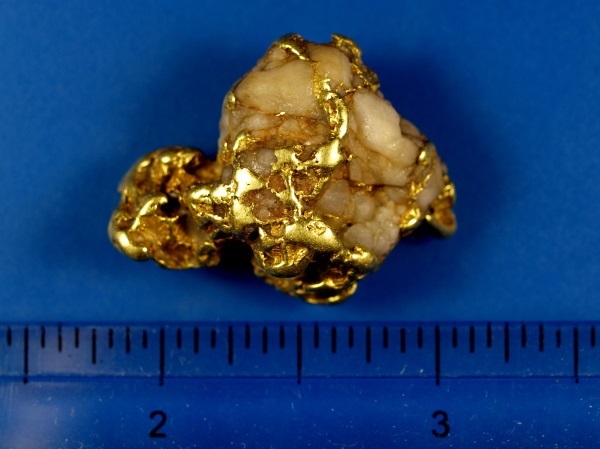 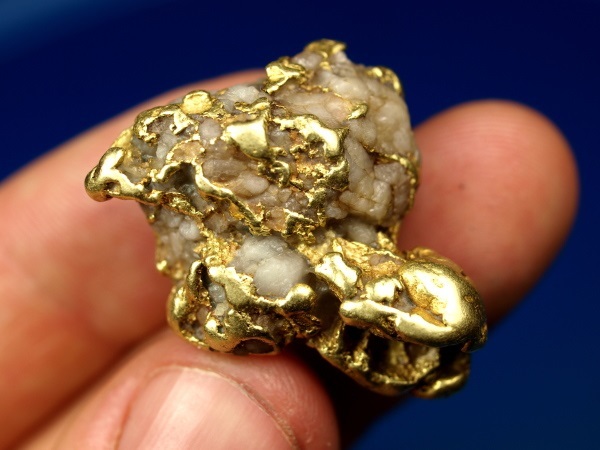 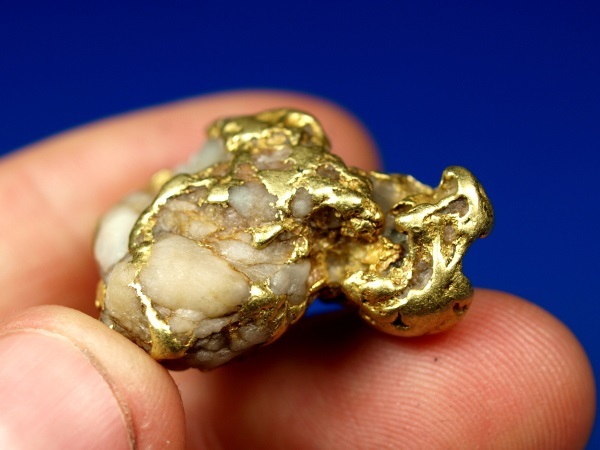 This beautiful nugget was recently found at a gold mine near Fairbanks, Alaska. 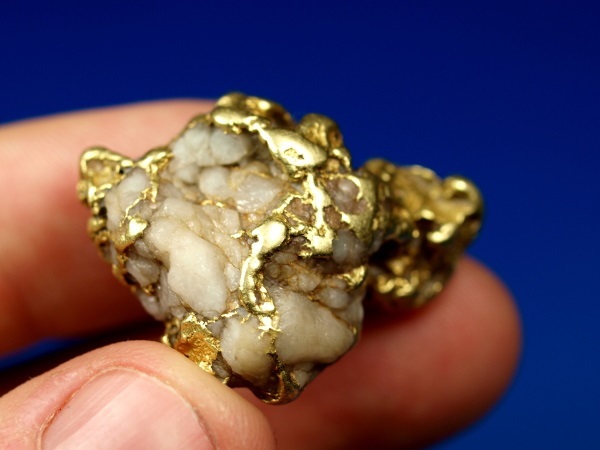 The way the gold mixes with the nice white quartz matrix makes for a truly exceptional specimen that really looks good from all angles. 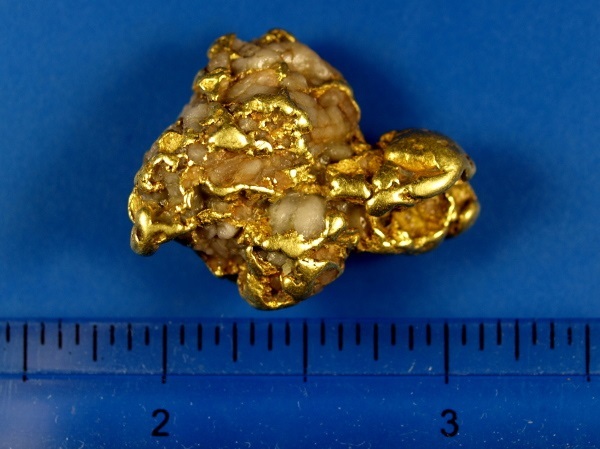 It weighs a bit under an ounce at 25.31 grams.